After properly cleansing and toning, treat your skin with one of our clinically-tested formulas. Our Moisturizers return precious moisture to the skin, restoring elasticity, hydration and firmness. When used daily, fine lines lessen and texture improves. Instantly deliver a cushioning layer of moisture between skin cells for up to 20 hours while balancing skin’s oily or dry nature with this lightweight, mineral oil-free crème. 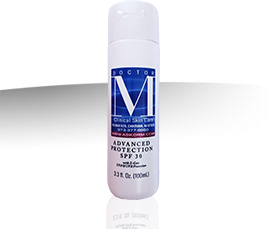 Age-fighting Vitamin E, plus stabilized vitamin A & C provide long-lasting free-radical defense. Red Marine Sea Algae from the coast of the Hawaiian Islands and Vitamins A, C & E, deliver powerful antioxidant protection to control the signs of aging. Within 4 weeks, the appearance of fine lines fade and skin moisture improves. Light-weight and mineral-oil free, this formula will not clog pores. This lightweight facial moisturizer delivers proven protection against damaging UVA & UVB rays without clogging pores. Green Tea, Licorice and Vitamins A, C & E provide powerful anti-oxidant protection. Our technologically advanced formula delivers 3 forms of stabilized Vitamin C & E to diminish persistent dryness and the signs of sun damage. When used daily, this “Active” body lotion minimizes fine lines, dry skin and improves uneven skin color. Japanese Green Tea, Shea Butter and other skin soothers calm & nourish sensitive skin. Designed for sensitive skin, this ultra-light surface-refining fluid sends water filled MoisturZomes deep into the skin, farther than water can penetrate on its own. Dexpanthenol and Sodium Hyaluronate act as super-moisturizers, delivering continual bursts of moisture lasting for hours.